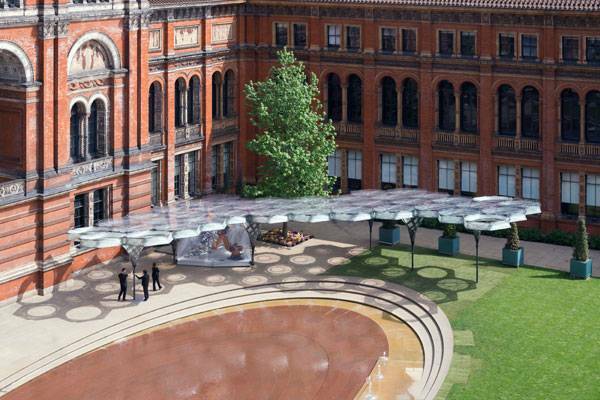 How Did Flying Beetles Inspire the V&A Museum’s Courtyard ? 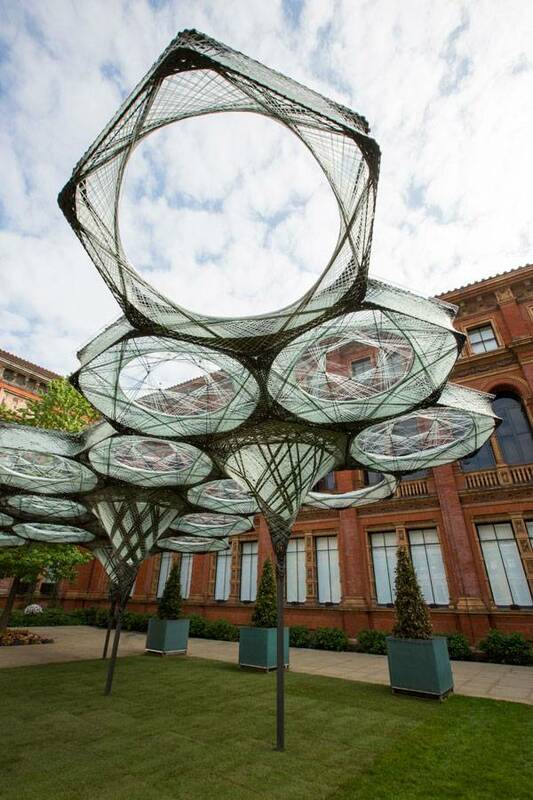 A team of architects and engineers from the University of Stuttgart – Achim Menges and Moritz Dörstelmann as architects, Jan Knippers as structural engineer and Thomas Auer as climate engineer – made this installation for the Engineering Season of the Victoria and Albert Museum in London. 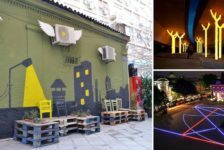 This experimental pavilion has been opened to the public on the 18th of May, 2016, and it will be on view until the 6th of November. 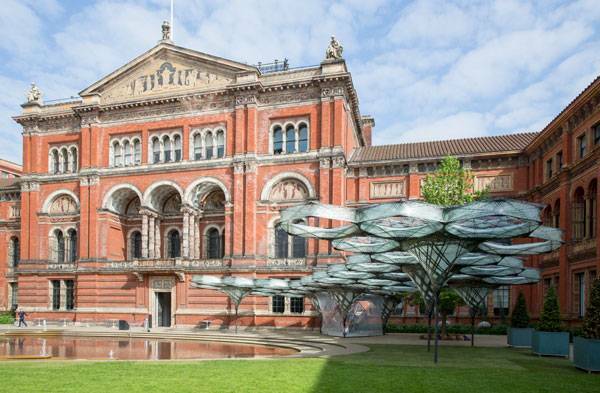 A Short Look at the Design Process of the Pavilion The Elytra Filament Pavilion is the latest installation in the Victoria and Albert Museum’s courtyard. 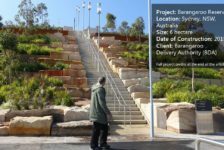 It is a result of four years of research on the integration of architecture, engineering, and biomimicry principles. 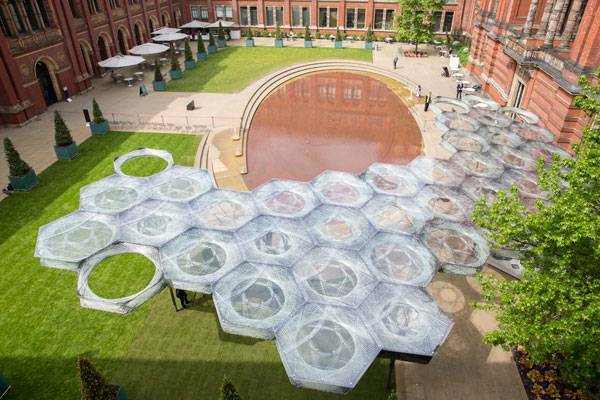 The 200-square-meter structure consists of 40 hexagonal component cells and 7 supporting columns. Each cell weighs approximately 45 kg. 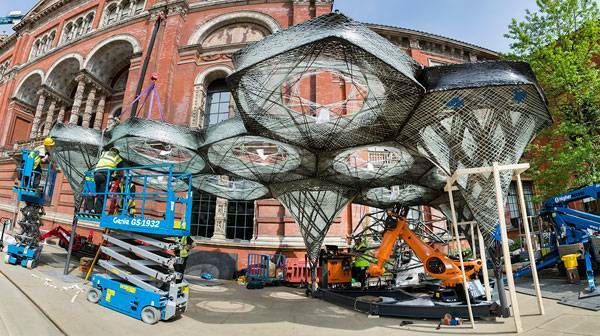 The installation’s components have been fabricated by a computer-programmed Kuka robot in a four-month construction process at the University of Stuttgart and assembled on site in the V&A Museum’s John Madejski Garden. Why Beetles? 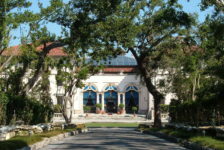 In nature, all living creatures deal with some problems and they develop different skills to overcome them. 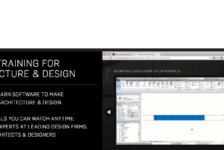 If we analyze the skills they have improved, we can learn lots of beneficial things that may contribute to our designs. The elytra structure is suitable to be used as a role model for highly material-efficient constructions. These structures are stiff forewings of the beetles and they have been modified to protect the sensitive wings (alea) under them when they are at rest. 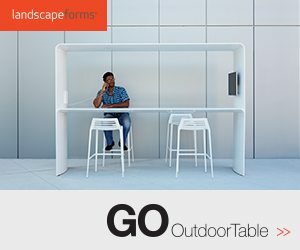 Likewise, the created canopy forms resting spaces for people who are visiting the museum. This is how nature and our daily life are involved in an interaction. Moreover, with this wing structure it is possible to create lightweight constructions. 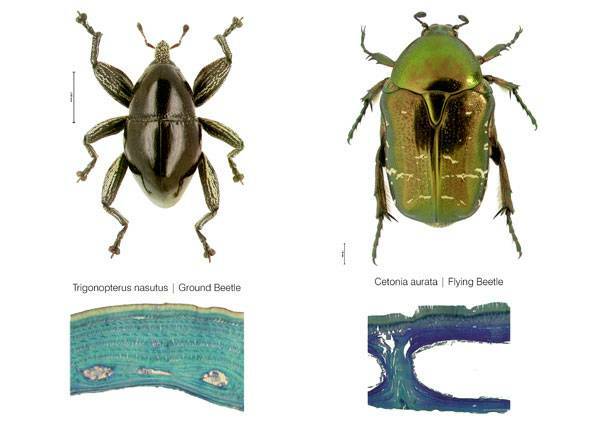 Both the geometric morphology of the double-layered system which flying beetles have and the mechanical properties of the natural fiber composite that is used enable this lightness and diversified capacity as Luis Eduardo Guisar Benitez explains in his article ‘Understanding the Basic Principles of Organic Design’. Evolving Structure The pavilion evolves and changes according to the situation that it is in, as things do in nature! 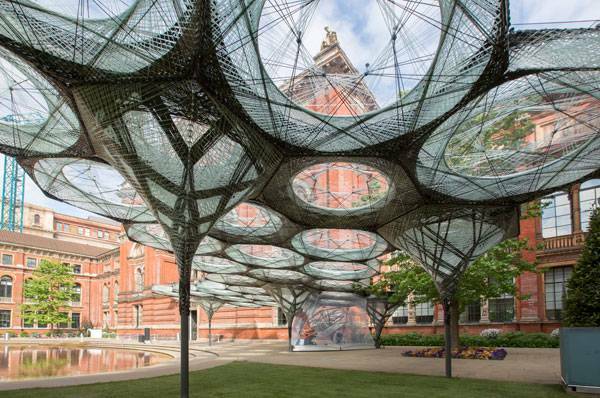 Real-time sensors were placed in the structure’s canopy fibers and according to anonymous data on how visitors use and move under the canopy, the structure responds to them. The setup of the robot and the lightness of the material allows the design team to have local production in the courtyard; thus new components will be fabricated, live, in the garden, by a Kuka robot, on specified days. 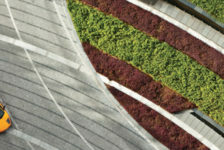 On 17th June, 18th June and 22th September, visitors will be able to see the structure grow and change its configuration. 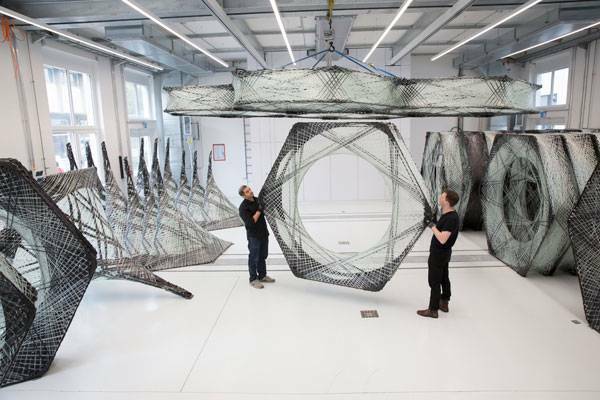 To sum up, by searching nature, understanding the structure of the fore-wing shells of flying beetles, learning the reasons they evolved in that way, and utilizing this research for the design of this pavilion, a team of architects and engineers from Stuttgart University put their signature on an important success. 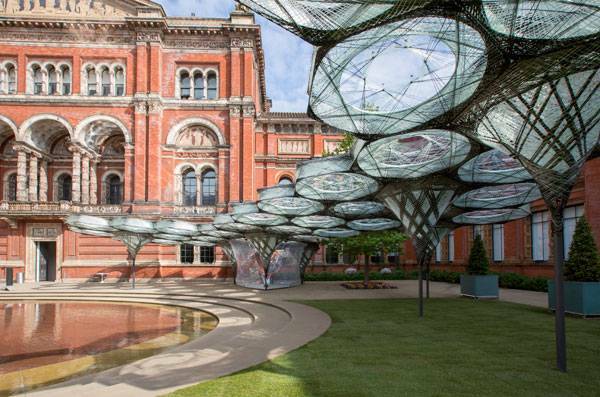 There are lots of biomimetic designs and architectural installations that change our point of view of situations; but the elytra filament pavilion not only integrates biomimetic and architectural features, but also adds engineering principles to the design for the Engineering Season of the Victoria and Albert Museum. In Elytra Filament Pavilion, nature contributes some features to the design, which makes it unique in its own classification. The beetle-imitating structure and evolving cells proves this opinion. 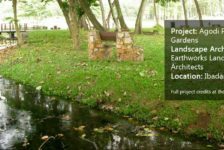 I strongly believe that nature can contribute more to us for new innovations. 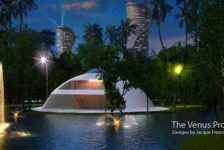 I am looking forward to visiting the pavilion and being there on the days that the structure evolves. 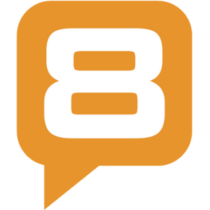 Would you like to visit and be a part of this evolutionary process?